﻿ Rheem Contractor :: It's all about you. Make the switch now - Find a Distributor! Are you tired of HVAC Manufacturers telling you how to operate? Fed up with your business being shoved to the background? Just want to be supported with the tools to succeed without having to jump through all the hoops? We, here at Rheem, understand and enthusiastically embrace the concept that YOU, the Contractor, and your business, are the most important component of any HVAC transaction. When you're successful and profitable, so are we. Explore this site dedicated to giving YOU personalized marketing, sales and training tools to support you and your business. Because at the end of the dayIt's All About You! RHEEM INGENUITY. INNOVATION... AND THEN SOME. For nearly a century, Rheem has been the industry leader, pioneering numerous industry firsts including smart features that meet the heating, cooling and water heating needs of homeowners and contractors. 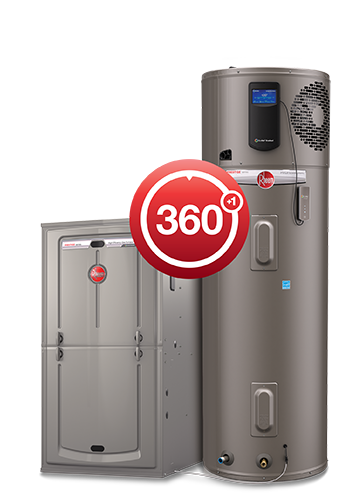 That’s why we design every new product with the Rheem 360°+1 philosophy. We evaluate every detail from top to bottom, inside and out, and everything in between. We consider the work that goes into installing and servicing our products as well as how we can deliver the best homeowner experience... And then we take it further. That’s 360°+1. Customizable Websites—Improve your online presence quickly and generate more leads with a professional website tailored to your business. Pro Partner Program—Enjoy exclusive recognition, relationships, and rewards to help grow your business and perform at the top of your game. KwikComfort® Financing—Increase sales, sell larger projects, and improve your close ratio by making it easier for customers to get new Rheem HVAC systems. Commercial Financing—Boost your sales by helping your corporate customers buy the Rheem systems they want with more affordable options. Protection Plus®—Give customers peace of mind about expenses related to unexpected repairs with flexible coverage options on extended warranties. Visit MyRheem.com to see details on these programs and more. At Rheem, we offer an exciting variety of marketing tools, programs, and services to drive your success. That’s because we’re dedicated to helping you close the sale, providing lead generation and identification options for your company, and so much more. Rheem AdMaker Tool—Build energizing customized print ads in any category, free of charge. Designstar™—Apply easy-to-use design features and enhanced capabilities to make sales easier, smarter and more impressive. Ad Media Templates—Create customized, professional ads for TV, radio, outdoor, web and direct mail. Vehicle Decals & Wraps—Transform your service vehicles into powerful, rolling billboards with colorful, customized decals and wraps. 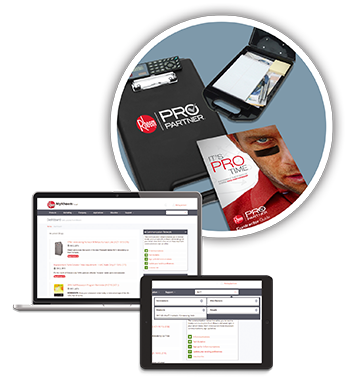 Free Contractor App—Quickly access our exclusive online tools, full product information and spec sheets, and updates on new Rheem products and Rheem Racing. Plus, as a Rheem Contractor, you’ll get access to the all-new MyRheem.com Partners Portal—your one-stop shop for marketing support, programs, tools, and resources—packed with amazing features and upgrades. Looking for a complete product line of both residential and light commercial HVAC products to sell and service? Looking to expand into the water heating industry? How about installation-friendly and the easiest to service? Rheem has the product you're looking for. Today's economy isn't about product lines; it's about product solutions. It isn't about the number of models or the capacity, but how you can use these various products to meet the equally various demands of each application. Over the next four years, starting in 2013, Rheem will be introducing completely redesigned furnace and outdoor model platforms. Whatever your interests or needs; whatever your heating, cooling or water heating application, Rheem has a reliable, cost-effective solution to meet it. Rheem is your one-stop source for all your heating, cooling and water heating needs. Rheem sets the standard of reliability to meet or exceed the high expectations for performance and durability of today's homeowner. The Rheem reputation for durability and reliability is supported by our strong warranties. From industry-leading innovations to next-generation energy efficiencies, Rheem's been producing award-winning heating and cooling solutions for more than 65 years. Most recently, Rheem EcoNetTM was named the 2015 Hot Product by Green Builder Magazine, amongst other innovation awards and the 80% Gas Furnace Platform was awarded the 2014 Comfortech Product Showcase Award. 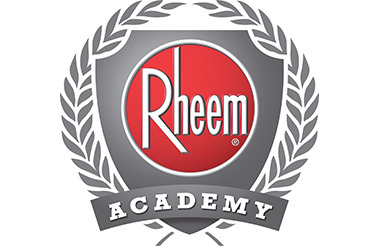 Ensuring our contractors' success is at the heart of everything Rheem does — that's why we established the Rheem Academy. 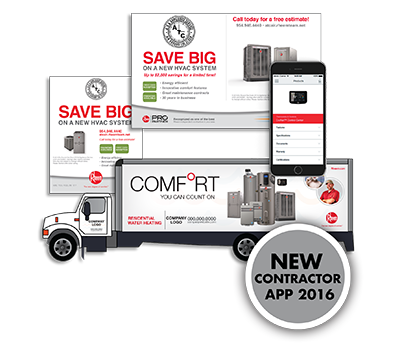 It's mission is simple: develop the best-trained contractor and distribution network in the HVAC industry. Through an exciting blend of online and classroom curriculum, contractors receive expert technical and busness training to get them ahead in today's competitive marketplace. When you graduate with your Rheem Academy certificate, you can count yourself at the top of your class — and your business.